Trump Lawn & Land Co.
We are a full service Design, Build, Maintain landscaping company located in York, Pa. We are family owned and operated with over 100 years of combined experienced. We have been servicing the York, Lancaster, and Baltimore markets for over 10 years. From complete design/build service capabilities to full service lawn and landscape care, we provide a complete landscape package. 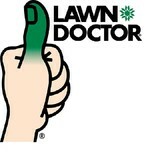 Family owned business with over 30 years in lawn care and landscaping. We go the extra mile - one yard at a time. Not many people have the time or patience to tend to their own landscaping. Thankfully, Turfology is here to help! Whether you want to spruce up your yard for that upcoming barbeque or create a professional look for your office building, put our experienced team of landscaping professionals to work for you. Check out the Services page above to see all of the fantastic services we offer. When you are looking for a top quality lawn care service in Harrisburg, PA and the surrounding areas, look no further than Buddy's Lawn Care! We are your premier, local expert landscaper for all manner of lawn maintenance, and will provide the finest assistance for fall cleanups, leaf removal, snow removal and tree services. Just let us know what you need and our professionals will do the rest. Whatever the issues your lawn might have, we will provide the solution appropriate to you, your schedule and your budget. Let Buddy's Lawn Care be your go-to landscape designer and lawn care service in Harrisburg and the surrounding areas! With our honest and dependable service, you can trust Buddy's Lawn Care to deliver the superior quality results you and your lawn deserve as we have for over ten years. Whether you just need some basic lawn maintenance, dedicated tree services or complex landscaping, our professionals will provide all the assistance you need. We have the utmost commitment to experience, efficiency and attention to detail, all of which you will see in our work. The best part is, our scheduling so convenient that, if not for the beautiful lawn, you'd hardly know we were there. To take advantage of our landscaping and lawn care services, please contact us at Buddy's Lawn Care, today! In addition to the maintenance side of gardening, New Market, PA gardeners can help you with garden design and choosing specific plants and grass types for your climate and area. Find a New Market, PA gardener on Houzz. Narrow your search in the Professionals section of the website to New Market, PA gardeners. You can also look through New Market, PA photos to find examples of yards that you like, then contact the Pennsylvania contractor who worked on them.